So, teach your employees, and your customers, well. Pines have needles in bundles of 2, 3,or 5. Spruces and firs and hemlocks have needles singly attached to twigs. And there are no spruce pines or hemlock pines. 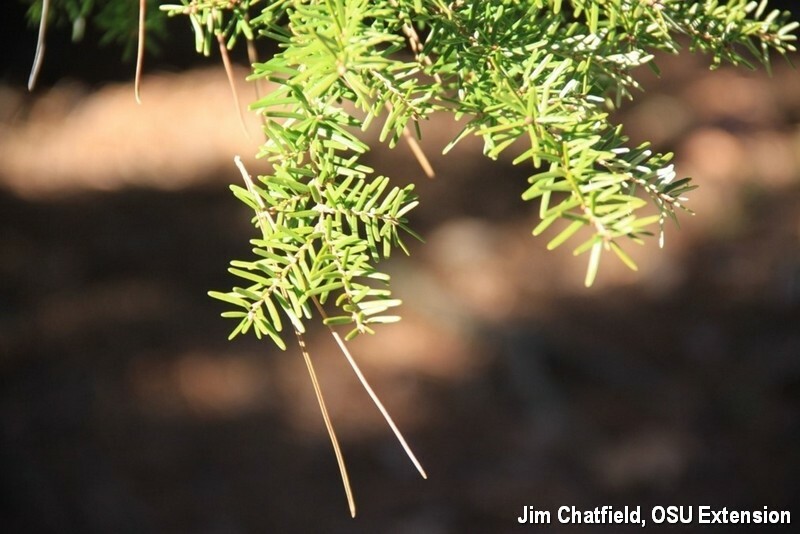 Pictured here is simply a hemlock (with singly attached needles) onto which a two-needled pine cluster has fallen, and additional pictures of a 5-needled pine and a spruceMore to come on your BYGL Plant ID features throughout the season.